MUSLIM Rights Concern (MURIC) has urged organised labour to consider the effects of the planned strike on the poor, before embarking on it.Its director and founder, Prof. Ishaq Akintola, who made the appeal in a statement, cautioned against a strike action whose major victims will be the poor people. According to him, the same workers and innocent members of their families are most likely to suffer the devastating consequences of an all-out industrial action. 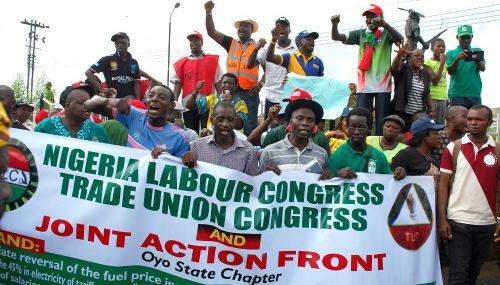 He said: “NLC has directed workers to stock their homes with foodstuffs in preparation for a long strike. But can Nigerian workers sustain this? How much does an average Nigerian worker have in his bank account to enable him reserve food supplies at home? Akintola expressed concern about the likely effect of a general strike, which could lead to the evacuation of hundreds of sick Nigerians from hospital beds? “Will it not lead to an increased number of deaths of citizens who do not have the money to access private health facilities? What will happen to accident victims during a strike? Socio-economic activities stand the risk of being paralysed. Banks will remain shut and even ATM machines may soon become dry. “This strike may turn out to be an open invitation to hunger in the land. The impact on the oil sector is expected to be severe,” he said.MURIC asked NLC leaders to focus on responsible leadership, patriotic intervention and citizen-oriented actions, asking if an increase in minimum wage would not lead to mass retrenchment, among other implications.